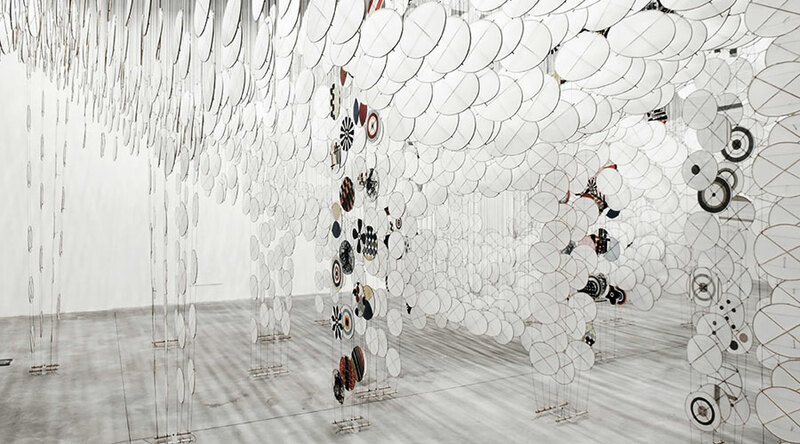 Specifically for MACRO: Rome’s museum of contemporary art, Jacob Hashimoto’s installation has been described as a “diaphanous canopy” due to the numerous strings and kites which are delicately suspended around the room. 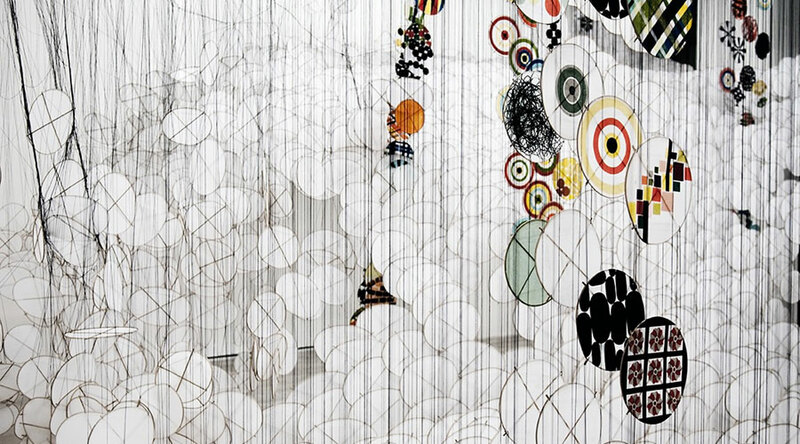 The art work automatically welcomes the viewer into its surreal environment. 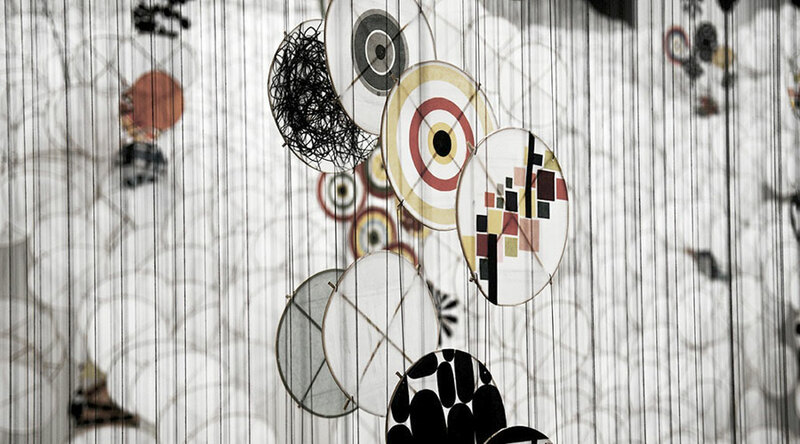 It’s not hard to imagine the lack of motion and silence of the room entrance that is evoked by the repetition of the circular shapes and uniform lines. The scattered circles of desaturated colour also bring an organic feel to the work by introducing subtle tones and varying patterns. 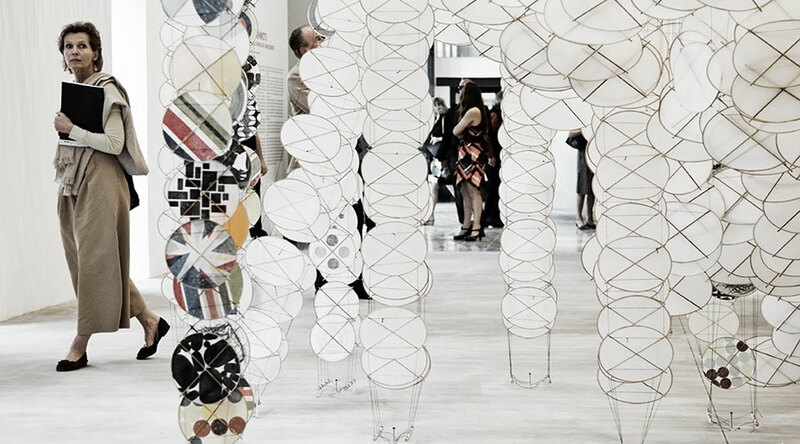 The piece synthesizes nature and technology to yield a fluid and organic landscape. 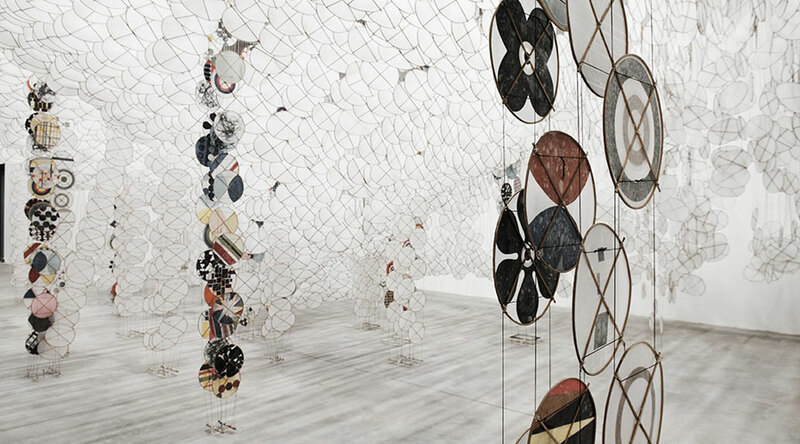 This encourages meditation and evokes new readings of the gallery: as a void, as space, or as time. 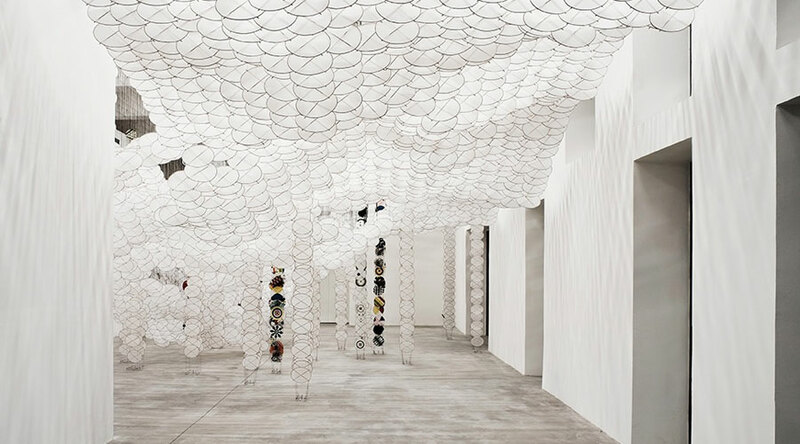 To find out more information on this installation and to check out other projects, click here to visit Jacob Hashimoto’s website.